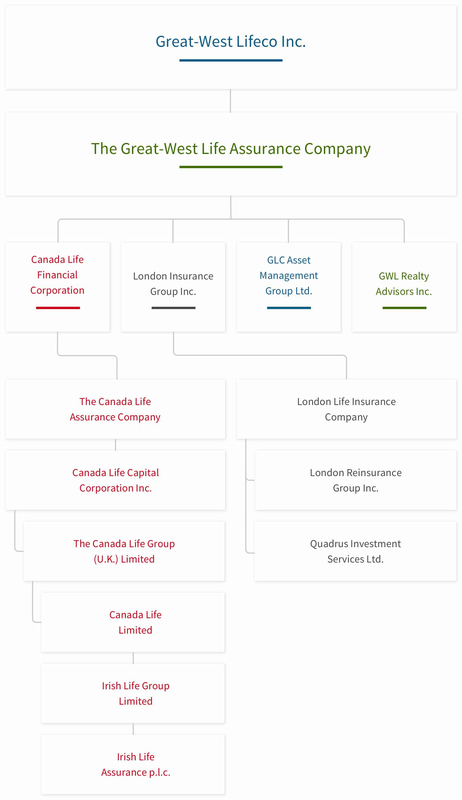 The organization chart below shows the relationships between Great-West Life and certain of its subsidiaries. The organization chart below shows the relationships between Great-West Life and certain of its subsidiaries. Great-West Life is a wholly-owned subsidiary of Great-West Lifeco Inc., a member of the Power Financial Corporation group of companies. For more information on Great-West Lifeco, please visit Great-West LifecoOpens a new website in a new window.